Healthcare and medical shippers need to know the carrier they choose can appropriately handle, as well as protect, their high risk/high value products. There are a limited number of carriers that have a full appreciation of this critical need and value their relationship with healthcare shippers by holding themselves to higher standards of security, quality & temperature control. 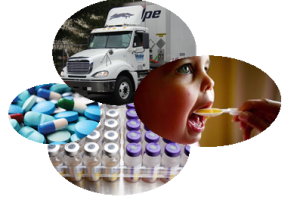 Volpe Dedicated, through our FoxCare service, currently does business with a number of these valued healthcare and medical shippers. We have a unique understanding of the dedication and importance you have placed in developing your products. We are committed to providing you with logistical services of highest integrity while your shipments are in our custody. We will ensure your products are handled with the utmost care and security, never compromised in transit, and be professionally delivered both safe and sound. In addition, Volpe Dedicated can provide expert, documented, service offerings relative to temperature controlled shipments. As a recognized temperature controlled carrier in the Northeast region, with an impeccable reputation, Volpe Dedicated appreciates the importance of building solid, lasting relationships with healthcare, pharmaceutical, and diagnostic suppliers.